Does Saving Stimulate the Economy More than Spending? When the 2008-09 financial crisis hit, my husband and I were debt-free and building our savings. We were proud of what we'd accomplished, and I used to stare at our savings balance with a smile after every payday. Some people say these programs were a success — that Americans are eager for their government to tell them what to do. Others believe that spending is what led to financial disaster in the first place, and more spending isn't the answer. You know what? I honestly don't care. I'm more focused on my personal economy. My husband and I made great headway with our personal finances, and we aren't about to stop and jeopardize our future by buying a new car or a flat-screen TV. We have goals, and we're set on hitting them. Someone else is going to have to buy those cars and houses, because we're focused on building our financial future. But a recent article in Fortune, “The Naked Stimulus: Why Savings Stimulate More than Spending,” piqued my interest, and I came away with a different understanding of why some people argue that spending our way out of a recession doesn't work. All savings are spent…GDP measures all spending on all the goods and services that America produces. Savings translate, dollar for dollar, into a major component of that total spending: investment. All the money that the administration successfully moves from savings to consumption simply channels one type of spending to another, in precisely offsetting amounts. It's like filling a swimming pool from one end, and draining it from the other end. The level doesn't change. Nor does GDP change when the government drains investment to lift consumption. How do savings translate into investments? When we save money, most of us don't hide it in a jar on the top kitchen shelf. Sometimes we buy stocks, which provides companies with money to expand. Sometimes we deposit our money into savings accounts or buy CDs, which the bank lends to corporations or to the government through the purchase of Treasuries. Basically, the money is spent whether you buy a flat-screen TV or deposit it into a high-interest savings account. Even when banks tighten up on lending, they still invest in Treasury bills to earn interest. Tully concedes that there's one situation where borrowing could raise the GDP, a situation that he says influenced the theories of British economist John Maynard Keynes. During the Great Depression, when Keynes formulated his theories, people didn't trust banks, so they kept cash in safes or under the mattress. This meant the money sat outside the system, so the federal government encouraged the hoarders to buy Treasuries. But that's hardly the situation we're in today, where most people keep all of their money in the banking system, and most deposits are insured. Two other components of GDP would have to be larger to offset the almost $900 billion in spending and borrowing. First, private investment would be higher, because of the bigger pool of savings, a great sign for the future…Second, the U.S. wouldn't have to borrow nearly as much from abroad. As a result, the dollar would be lower versus other currencies, reflecting its true value. Hence, imports would be more expensive, and our exports far more competitive on the world markets. The rise in exports would help offset the hit to GDP caused by lower consumer spending. Bigger investment and exports on a tear? That's certainly a good alternative to the results of the stimulus. Tully believes it's possible that our current situation would be the same, but the outlook would be better for our economic future. What do you think of the theory of spending out of a recession versus saving to stimulate the economy? J.D. 's note: Though we generally try to steer clear of politics at GRS, that may be tough today. This topic is inherently political. All I ask is that during this discussion, you be respectful of each other. Debate is great, but please leave aside the name-calling and gross generalizations. 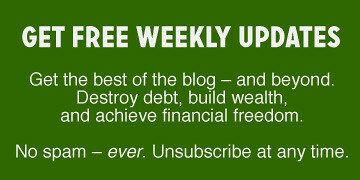 There are 73 reader responses to "Does Saving Stimulate the Economy More than Spending?". Spending is not the answer. Spendings cuts should be made so that people have confidence in the dollar. It is vital to have a reliable store of value. For instance, all savings are not the same. If your savings are invested safe ventures like producing detergent will generate less extra value than if they’re invested in a riskier venture like pharmaceuticals. At the moment, it seems as though people in the US are favoring safe investments such as paying down debt and bank savings accounts. I don’t know where government spending falls on that continuum of risk vs rewards, though. For the most part, I agree. The exception that I can think of is R&D since some investors won’t touch it due to it being new. But, as a general rule, if the government can spend to stimulate the economy in terms of business, investors can provide the same cash flow if there’s legitimate reasons to invest. To be honest, this whole push to get Americans to spend more just doesn’t make sense to me. We were berated for our piddly savings rate and buying more than we could afford as causing this crisis to begin with. I think we’d be much better off if we went the route of saving to stimulate the economy. I’d like to think I’m doing my part, as my household is now at a 50% savings rate. The Forbes article doesn’t make much sense on the face of it. The author’s premise is that the four segments of the GDP (government spending, private investment, consumer spending, import/export) are necessarily in equilibrium so that if the government increases spending, the other three segments decrease by the same total amount. If that were true, though, GDP would never increase (or decrease), which obviously isn’t the case. I’m always leery when someone talks about proving something with “basic economics” since there’s nothing basic about it. More than most things, economics baffles me. The older I get, the more I think economists just make stuff up. (I actually use a different s-word when I talk about this normally, but this is a family blog, right?) Maybe “make stuff up” is too strong, but economics isn’t a hard science by any stretch of the imagination. That said, there’s a certain level of government spending required to make our republic function, yes? I guess my concern is when our elected officials — Republicans and Democrats alike (because let’s be clear: Republicans are just as guilty as spending as Democrats, no matter what they want to claim) — my concern is when our elected officials use a recession as an excuse to spend unnecessarily. But man, the whole issue is so complex. What spending is necessary? What spending is not? The programs I see as wasteful, you see as necessary. (For a variety of reasons, I’m not a fan of military spending, for example. Yet I know that many Americans feel it’s vital.) And vice versa. But there doesn’t seem to be any balance or compromise in our country. We just spend on everything. But back to the article. I’m not sure I buy the argument that saving stimulates the economy as much as spending. I think spending does stimulate it more. The real problem, though, is that for the government to spend, it creates drag. There are expenses involved, just like an expense ratio on a mutual fund (but much higher). So, although the bank may not make full use of my $20,000 in savings to stimulate the economy, the government doesn’t make full use of my tax money, either. A lot of it is lost to bureaucracy. The difference is, the money spent by the government really is lost, while the money unspent by the bank doesn’t go anywhere — it just doesn’t do all the work it could be doing. As you can tell, I’m just sort of babbling. I’m thinking out loud. This stuff is complicated, and I don’t think there are any clear answers, no matter what your political party wants you to believe. I’m in favor of lower taxes — but I want essential government services, too. I want the roads I drive on, and I want the police to protect me, and I want somebody regulating businesses to protect me. I just wish it weren’t so damn expensive. I hate to be impolite, but I think this post is a good example of why avoiding politics is a good idea. I love GRS, but this argument doesn’t seem right to me. The bigger issue here is that personal finance and economics are very different topics. Personal finance is mostly about getting your behavior in line with common sense, while economics is a counter-intuitive and technical subject, and it’s full of controversy even among professionals. You shouldn’t try to apply lessons from one field to the other. In the post-9/11 recession, people were encouraged to spend more money in order to ward off recession caused by people staying home due to fear, grief, depression, or apathy caused by the terror attacks. However, this caused a misconception that the recession in late 2001/early 2002 was caused by the attacks, when in reality it was caused by the tech bubble bursting and subsequent cyclical decline. Our beloved former president, Mr Bush the younger along with Alan Greenspan, thought the best way out of the recession was to arbitrarily keep interest rates low in order to spend our way to prosperity. Normally you lower rates during a recession to spur growth, but Greenspan/Bush kept rates low long after the GDP started growing again, and kept them unnaturally low even when unemployment was at record lows. This caused a flurry of big purchase buying and contributed, partially, to the housing crisis and the overall *negative* savings rates in 2005/2006. Post 2008 crash, people were up to their eyeballs in debt, and thats why lower rates havent spurred consumer spending. That combined with the explosion of foreclosures and bankruptcies making it impossible for a large portion of the population to get loans. The bottom line is that networth and real wages havent increased in over a decade due to underlying structural problems, and these problems were masked by debt-fueled spending for the last ~10 years. So people are saving now, trying to make up for the recklessness of the past decade. The spending rate is not likely to increase, either, until people have deleveraged themselves back into financial health. I’ve been preaching this for ages as have many financial pundits but the media and the politicians keep getting it wrong. Yes spending stimulates the economony, but saving/investing stimulates it as well in different ways. This is only true if those savings are in fact spent on investment. 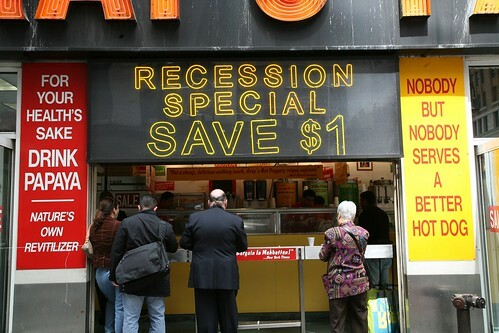 Since the beginning of the recession, that hasn’t been the case as much as it was in years past. The total money supply is determined by how much bank deposits (savings) are invested. It’s an inverse ratio based on the amount not invested, so that if 90% of deposits are invested, the total money supply is 10x the amount of bank deposits. The smaller the amount invested, the less total money there is in the economy. At the end of the day, the entire economy is based off of spending. Without spending, companies don’t have the money to pay back investment. So they don’t invest. So the money people are saving just sits in banks unused. Of late, they did a podcast about stimulating the economy, if it’s working or not and Keynes’ theories in practice (or not in practice). One of the things that this blog, those podcasts and Timothy Noah’s current article on Slate about income inequality (only halfway through that) seems to show me is that we are still learning and, sadly or happily depending on who you talk to, always will be. To me, if I can set aside my own personal worries when thinking about these things, the history and application of it is fascinating. All of my blabbing above for this entry and what do I think? I think I need to save. Let someone else blow it for the economy. I’m sorry, but this is a rather straightforward question regarding macroeconomics, and I’m afraid I have to disagree with both April’s and Forbes’s analysis. First, there’s the question of the GDP. The US government doesn’t merely spend what it deducts in taxes from taxpayers or acquires through treasury notes sold to taxpayers. It also sells treasury notes to foreign debt holders who are not otherwise taxed, and in fact this amounts in a massive portion of our deficit spending. This is government spending that is a “net gain” over consumer spending, pure and simple. Second is the question of the acceleration of money. Wealth is created not only by putting more money into the system, but by encouraging that money to “move” faster through the system. So if I have $100, and I buy a TV from George for $100, and George buys a new puppy from Jane for $100, and then Jane buys a used piano from Cindy for $100, then the total GDP from my $100 is $300 (not counting however it is I acquired the money in the first place). So if in a given year we can increase how quickly money changes hands, we increase overall wealth (which sounds silly, I know, but it kind of assumes that you get back in value whatever it is you pay in money, which isn’t unreasonable). Government spending and consumer spending increase this speed; whereas money might otherwise sit in bank accounts until Christmas, increased spending puts those dollars into the pockets of road workers in February, which arguably increases the GDP bigger and faster. Third, government spending tends to put most of the money back into the US through public works projects, which helps keep the acceleration of money up and also keeps Americans as a society wealthier. American citizens, on the other hand, have a tendency to send their money to China and Japan in consumer electronics, or to Mexico on vacation (perhaps in a bygone era), or to Saudi Arabia in gas money. Finally, there’s the issue of net profits. When Americans invest their money, only a fraction of it goes to starting new ventures or opening new businesses. These days, those are the hardest loans to get, and they’re extremely expensive. Americans tend to invest their money in stock-based mutual funds (which provides capital to no one, and merely provides liquidity to the previous stock owner, which tends to be another mutual fund). When they don’t, they tend to invest their money in bonds – which, although it provides working capital to the bond issuers, is some of the most expensive dollars a company or municipality can acquire thanks to the interest rate. Government and consumer spending, on the other hand, is a lot different – they pay directly for a good or service, normally through paying for wages and paying for materials. Those purchases come without the trappings of interest rates, which means the dollars that companies actually receive for the products sold to the buyer don’t have to be given back and don’t have to be paid for with interest. It’s pure profit, rather than temporary cash flow. Overall, of course, the question of government spending is as much one of philosophy (the government’s place in the economy) as it is of economics. But as purely economic exercise, the government’s role in the mathematics of the economy is rather cut-and-dry. Similarly, consumer spending is mathematically better for the economy than consumer saving. Whether that’s a good idea in the long-run has a lot more to do with individual consumers’ overall financial health than it does with the macroeconomy. Long time reader, first time poster. . . . The problem with the savings cycle as Tully describes it is that the institutions that should be plowing our savings back into the economy are sitting on them. Banks in general have been stingy to loan, and corporate cash-on-hand is at record levels. Meaning that no matter where we’re stashing our savings — the market or the bank — it’s not making it back into the economy through loans or through hiring. This is why Keynes is still right, and direct spending by the government is still the only way to prime the pump of private industry in an economy in extremis. I certainly think individuals should save more in general and that consumers should not feel compelled to spend our way out of a recession. I don’t really see how buying Treasuries is going to stimulate the economy especially since the thesis is opposed to government spending. Do they expect businesses to increase spending during a recession with declining revenues and no incentives? I don’t know any businesses that think like that. During the recession businesses cut back almost entirely and cut payroll. Businesses still seem scared to increase spending or hiring. I’m about to go home but I will be brief here. People in the US weren’t saving enough. It is good that they are saving more. We probably don’t want to save as much as the Japanese do, but we’re still a ways from that. Government needs to step up and spend to get us out of a recession (technically we’re probably on our way out, but not in ways that help people). Then they need to pay back what they spent once the economy is going and employment is up again so that our debt can go back to reasonable levels. I’m not going to deny that some economists make stuff up, but for the most part there are some basic fundamental things that have stood the test of time, at least since the 1930s, which is a long time in social science theory. And I am almost as tired of explaining this one as I am explaining why large groups are good for health insurance. I do wish we had more economics education in this country and that the high school AP test wasn’t so awful. These basic economics things do make sense once they’re framed well. And to answer JD’s concern… does it matter how the government spends? Well, for optimality it does. Some places spread dollars better than others (food stamps, for example). Some dollars will help our long term progress (public transit, educational subsidies). To satisfice, it doesn’t. There’s someplace in between that is probably where we will be, and someplace with a lot of pork and bizarre projects. But that doesn’t mean we shouldn’t spend at all and it doesn’t mean that we should not care what we spend on. Saving through investments – Stimulates the economy bc it provides businesses with money to move forward with development, expansion, etc. Spending – Stimulates the economy bc it provides businesses with revenue through the products they produce. Saving through savings accounts – The bank generally uses that money to loan out to businesses/individuals, so once again stimulates the economy. The only thing that doesn’t seem to stimulate the economy is either when people are saving their $$ under their mattresses, or banks are not loaning out money from their accounts. And speaking from personal observations & experiences, it seems like 2008-09 was terrible for people trying to obtain loans and refinance mortgages. The banks were just so gunshy that approvals were near impossible to get. Yet earlier this year, we noticed that suddenly the obstacles were removed and everyone we knew (as well as us, hooray!) were able to get our loans taken care of. At the same time, I noticed that people started having more luck in finding jobs, companies seemed more optimistic, etc. So in my opinion, the big key to the economy is what’s going on with mortgages and loans. The spending vs saving argument has been fairly well covered in most macro economics books. It seems to come out fairly even. buying things helps businesses grow and circulate money to it employees, saving through buying stock or bonds helps businesses grow by being able to get funds for major purchases. Whether you save or invest, someone will use the money to buy something so it all counts towards GDP growth. I’m curious about your statement that the government spending clearly helped during the Depression. Year by year analysis I’ve been seeing recently about unemployment and other vital statistics of the day show that while things took a dive after the market crash, they were on an upward trajectory until the federal government started their myriad of programs and it was then that the situation completely tanked to the levels we associate with that period. While I have my opinions about what the best policy is, one of the arguements that makes the most sense to me with regard to our current economic malaise is that businesses are touchy because of so many things being up in the air wrt how the Medical Care legislation will play out, if cap-and-trade will happen, etc. Since these will clearly have an effect on the cost of doing business and how the system functions, people and businesses are holding their collective breath waiting to see where things fall so, good or bad, they can plan for the future. In your personal life it would be like your employer saying “We will be making changes to your Health Insurance and retirement plans that might cost you more or might not, and raises may happen this year, but with things being tight we also might end up cutting your pay. We’ll let you know later.” No matter what happens you may be able to function with the new rules, but you can’t plan until you know, and until you know the plans you DO make will assume the worst, if at this point you could even know what the worst case could be. This brings me back to your Great Depression comment. I’ve read some analysis, both from the time and contemporary saying that the New Deal policies kept businesses guessing as to what future policies would be, so most of them refused to expand and invest and instead just concentrated on staying afloat on a daily basis. I’m curious what you have used to base your belief that non-WWII policies has a positive effect (as WWII is so out of the ordinary economically and psychologically that it isn’t the same as general ‘spending’). I have heard the same thing through school, but the only numbers I have seen don’t support that theory and as I said many point to the contrary, either observationally or via analysis. All of my data is passive as I admittedly don’t have an interest in that depth of historic economic data, so I’m genuinely interested in your thought process. @12 Shash– This American Life has been doing a fantastic job explaining the difficult economics of the current recession for several years– how we got into it, what’s going on now. I STRONGLY recommend anyone who wants to know what’s going on listen to them. I find the Planet Money podcasts really basic and have a hard time listening to them, but my husband who doesn’t teach undergraduate economics (and isn’t an economist) loves them. They do have really good real-life examples illustrating basic economic concepts. If you’re not an economist, these are really fantastic (and brief) shows. @8 Steven Bank is absolutely right when he says, “The bigger issue here is that personal finance and economics are very different topics.” There’s some areas of microeconomics that can inform what people *should* be doing (like ignoring sunk costs), but for the most part, what governments and people and companies should be doing are as different as what little countries and big countries should be doing in terms of tariffs. (Not that that analogy makes sense if you didn’t have to suffer through international economics.) We have different rules for operation and work in different environments, so there will be different outcomes. Because I’m an economist, people are always asking me about stock picks and personal finance. Luckily I’ve taken some behavioral finance (so I can quote the O’Dean articles on not trading too much), but it’s only a subset of economics that only some people study. I think a big picture that people are missing is that you should do whatever feels best to you. This is a free country (but not free as in beer, it sure costs enough to live here) – if you want to save 90% of your income and shop at Aldi you have a right to do that. Conversely, if you want to buy a flatscreen TV on credit, you can do that too. It doesn’t matter if you’re buying it because you want to stimulate the economy, keep up with the Jones or just really really want that TV to watch movies on. Spend what you want, save what you want. It’s your money. Ignore the idiots that keep telling you what to do with it. The economy (and life) will go on no matter which option you choose. Similar to April’s comment in her post, my preference is to focus on personal finance. I don’t care the impact it has (or doesn’t have) on impacting the economy. I focus on improving my family’s net worth. @J.D. #7 – It’s likely not a topic for GRS, but I’m curious about the variety of reasons you’re not a fan of military spending. And what you would see as an alternative(s), if any. Budget cuts to the program, or eliminate the entire program? Could be interesting in a discussion. The post mistakenly states that the stimulus was $836 billion in government spending. In reality, about $300 billion of that was tax cuts or tax credits. I’m sorry to say that Forbes has been pretty openly declaring its allegiance with the Republican party. Just this week, they published as a cover story a seriously error-packed analysis which accused Obama of being secretly motivated by Kenyan anti-colonialism (rather than mainstream center-liberalism). And Steve Forbes’ latest column is illustrated by a Photoshop of Obama’s head on Stalin’s body, talking to Lenin. They have every right to turn the magazine from a mainstream business publication to a journal of right-wing opinion, but you should know what you’re getting. I know you have to do political stuff, but PLEASE do an article on Christine O’Donnell and how she is politicizing her finances. Saving, if it is being transferred to investment and bonds is definitely stimulating the economy. Unfortunately, businesses are not being very responsive to monetary policy (FED) so we constantly have to look for fiscal policy (Congress) to pull us out of this. Are we talking about personal/household spending (which I thought was the subject of the original post) or government spending (which the comments seem to address)? On the former — there’s spending on decent stuff, and spending on stupid s**t.
I half-jokingly say that I’m going to shift my spending to SERVICES rather than goods: think massages! think music and dance lessons! This also keeps the massage therapists and the instructors in business; they gotta make a living too. When I’m buying Stuff, I try to support smaller producers whenever possible, supporting cottage industries. We will always need to buy some level of Stuff but I’m hoping Shift Happens and a lot of the old dominant sectors will change for the better, or die. As some have said: our role is to be hospice workers for the old (crappy) BAU, and midwives for a better vision. Grow that bank account, and spend smarter, not more! This post reminds me of a couple of questions that I’ve had about this whole borrowing to spend our way out of a recession thing. It may simply reflect my lack of understanding of just what constitutes “money” but it seems to me that if I save rather than go into debt that I have future spending power quite a bit beyond what I would have if I bury myself in debt. question 1. If I borrow at 20% (not unusual on many credit cards) to buy a $2000 big screen TV and take 2 years to pay it back, then I will have paid something like $2300 for the TV. I didn’t do the math so I know this isn’t exactly right. But if I save 2 years for the TV and make some interest, the TV will cost me only $2000 and I’ll have the $300 I would have spent on interest plus a small amount of interest from the bank to spend on something else. In the long run, aren’t I doing more for the economy by saving rather than borrowing? question 2. I keep hearing that our economy is dependent on consumption. What else could it be dependent on? Before consumer goods were the basis of our economy, what was and might it be better for the environment etc. if we find some other basis for our economy? I am by no means an expert either, but one additional issue to consider is the amount of cash reserves a bank now must carry. I know that banks here in Australia, as well as those in Europe, have all been undertaking “stress tests”, which have basically uncovered the fairly obvious (or after the GFC it seems obvious) fact that most banks do not carry enough cash reserves for the amount of credit they have extended. Many governments are now implementing legislation requiring increased liquid cash. Now, I am truly not a student of econmics, but the way I read this is that banks now have to increase the ratio of savings to loans… so they can loan out less(?). Am I understanding this wrong? Does this mean I am saying savings are wrong? No. I also don’t disagree that savings can stimulate the economy (i.e. your savings in a bank allow it to loan to others), but to put simplistic models and answers out there to suggest dollar for dollar it’s the same as spending is probably wrong. So, like JD, I am also rambling and not quite sure I will ever understand the macroeconomics equation. It doesn’t seem any of us can explain this, how does the government explain it simply to everybody else (who may not be super interested or financially literate). It may be a long time in social science theory, but it’s pretty short in historical terms, and just about exactly the period between depressions, historically. If economic theory doesn’t account for the period before the last depression, its value is questionable. Arguably it should account for at least two complete cycles to be considered supported by evidence. Economic theory based solely on the period of expansion in the cycle is, in my opinion anyway, incapable of predicting the end of the cycle. This isn’t about the business cycle, or even the 17.6 year stock market cycle, this is about generational attitudes toward money. A generation which grew up during the post-WWII boom will have far different attitudes toward money than a generation that grew up during a depression. The unemployment and underemployment rate among recent college graduates is staggering. That will have far more long-lasting implications for the economy than any government policy. Mostly though, I think economics fails because it makes statements which are obviously false on their face, and later proven false by events. The idea of spending yourself rich is laughable to anyone with a shred of common sense and a calculator. Greenspan thought stimulus was the answer after the dot com bust and recession, and presumably had a lot of economic theory backing him up. Bernanke and Geithner claimed the various programs adding trillions to the debt would have various effects, like keeping the unemployment rate below 7.5 and keeping underwater mortgage holders in their homes. Those programs have failed. We had a bubble, and now we have the crash. The only way to prevent a crash is to prevent the bubble. It’s far too late for that now, now the only question is whether it’s a quick crash like the Great Depression or a long, slow spiral like Japan. The crash itself is as inevitable as nightfall. I’m saving because social security isn’t enough to live on. I don’t expect the government to take care of me. That’s not their responsibility nor should it be, in fact there are lots of poor Americans in retirement,is the government helping them out? No. So you have to look out for yourself and make sure that you are hitting your saving/retirement goals. Also spending is what got us into trouble, we just really need to be frugal for awhile. The entire country needs to go back to saving their money. What else could the economy be dependent on? Consumption doesn’t necessarily mean big screen tvs and Big Macs. It means anything that is used. That means food, energy, everything. Money is a tool to facilitate trade. Trade is used for obtaining things we need (or just want). Whenever I hear people talking about the need to move away from a consumption-based economy, I laugh. Without consumption, there is NO economy. You are correct. When banks raise their reserves (assuming that it isn’t done simply by more people putting money in their accounts), it means there is less total money available. I agree with April on the point about “personal economy.” I was raised by a family who absolutely did not believe in debt. Nothing would persuade me to lose my safety net on superfluous things. Aside from the political element of this piece, the truth is that there are economists on both left and right who feel that “spending” our way out of this recession does not help the average Joe or Jane. As a bookkeeper, my biggest concern, is that I’m starting to see more clients with very high balances get credit card offers in the mail. I’ve seen this trend develop within the past 6 months. This tells me that the old ways of giving credit to those who will most likely spend and get stuck with paying high interest rates, is back on the menu. Have we really, collectively, learned from our mistakes? I don’t think so. AC, I did a little reading. I’m not touching that topic with a ten-foot pole!!! I’m with JD and others in that economics (especially macro) is one of few subjects that I haven’t really been able to wrap my head around. As a result, I have a hard time processing articles like this one and deciding whether I can really accept the conclusion or not. Reading the article, I find myself thinking that if everything in the GDP equation always balances out, how does it ever increase? Also, is raising the GDP really what we’re looking for? Tully states that higher income people are the ones more likely to save, and lower/middle ones more likely to spend. Then he says that taking money from the high earners’ savings and giving it to the lower earners to spend doesn’t change the GDP. OK, so assuming that both of those statements are true, then a saving-oriented stimulus plan seems to ensure that “the rich get richer, and the poor get poorer,” while a spending one is a method of re-distributing wealth with no cost to the GDP. There are certainly philosophical reasons for following one policy or another, but economically, these ideas do seem to set up some interesting hypotheticals. Then again, I may be completely misinterpreting things, too. In addition to the strange confusion of macroeconomics, I find myself taking all current analysis with a big grain of salt, because the economy we’re looking at today is like none other we’ve seen in the past. Bankers and investors I know are now at a loss to understand or predict where things will go because all of our previous models of the last century have failed to predict where we are now. We’re running in unmapped terrain, with people who used to see themselves as experts feeling lost as they mark out new paths. And some of them have nearly reached the point of advising friends and family to start stuffing money in mattresses. Aleks, you’re getting short term claims mixed up with long-term theory. And at least where I was going to graduate school, everybody knew that the housing market was headed for a crash. They didn’t see how much it was going to crash, but they knew things were out of hand. Everybody knew the dot com bubble was going to burst, too, though that recession didn’t last as long. Everybody also knew that Bush’s tax cuts were ridiculous and were feeding an already overactive business cycle. Greenspan might have thought there was a new paradigm (possibly he was too close, and hopeful for his legacy), but the experts at my school stuck with standard boring old-fashioned macro. None of these events were surprising to the majority of top economists. The surprising thing was how bad things were and how deep the recession became. Man, I HATE arguing about this stuff. JD, my vote is for no more of this kind of political thing. I have to remind myself that I’m not getting paid for this. Enroll at my school if you want to argue basic economics with me. I think our country’s economic problems boil down to one simple thing: We have been importing more than we have been exporting for far too long and it has finally caught up with us. I don’t think you had to be an economist to suspect that the bubble was bound to burst, and the housing market was bound to crash. It seems like our innate need for equilibrium led us to doubt such unbridled growth on instinct alone. Where I live in Northern California, it just felt so frightfully precarious, and it just made sense when everything toppled, though it still hurt. On a base level, it feels to me that our economy (especially surrounding stocks and investment) is different than it has ever been. The income threshold for stock purchasing is way lower than ever before, and laypeople make uninformed purchases all the time. Meanwhile a huge portion of the market (is it the majority now?) is traded by computer programs working independently. All of this unpredictability does nothing to the common sense notion that funding outrageous mortgages that people likely won’t be able to pay, or investing in companies with no viable business model, are dangerous for the economy. Identifying bad ideas like that is easy. On the other hand, identifying the good ideas, the ideas that will “save” us, seems a much more difficult task. A good website containing a rap video that condenses the two economic philosophies: the stimulus plans (Keynesian Economics); and the opposing view Austrian Economics lead by F. A Hayek. I encourage you to view it. It is the propensity to work, and not the propensity to spend, is the foundation of national income and wealth. Unfortunately, your personal economy exists within the national economy. If the government keeps spending without limits, your savings will be put on the hook to help pay it back — and then your “personal economy” will come crashing down. Norman is right about spending being out of control. We need to cutback the size and cost of government. Economics is a little bit fuzzy for me to get. So also for the leaders of the government. When there are two competing views of economic theory and one administration interprets it to their own devices, what to do? As usual Keynes was wrong and the Austrian School of Economics provides the answer: When people save their money in jars, the supply of money goes down. This leads to a higher value of the remaining money, which means that exactly the same amount of work will be done with or without the jar-money. I’m slow in reading this today, but this is Economics 101. – Increasing investment via lowering interest rates. Imagine you’re the governing body of a country with a pop 100,000, all employed by a single firm which provides all necessary and luxury goods and services to your nation. If you say “save your money everybody!” and they listen to you what happens? Well, people cut back and only spend on essentials (a fraction of the total firm output). This is not good because now the firm can’t meet its bottom line and it goes under, causing 100,000 people to lose their jobs. Alternatively if you say “keep shopping people” then the firm has an easier time staying afloat and the recession can largely be mitigated. The argument of “savings sparks investment” is great, but it misses a critical line of thought: That spending must occur to keep a firm alive. Investment and expansion is a secondary function of the firm. Does increased savings mean a healthier economy? Absolutely, but in the short run during a recession? Spend baby, spend. There is a lot of literature out there about the Depression era and the supposed “WWII boom”, here is a slice (it’s late) but please find some more. Time to get edu-ma-cated. I see there are many good comments discussing the very big misunderstandings in the article, so I won’t go there. But a note on personal finance versus national economics (or macroeconomics, as it is usually called). Saving and avoiding debt is good personal finance advice. However, if everyone (or even sufficiently many people) changes their financial behavior pattern at the same time, moving from spending to saving, from indebtedness to paying debt off, the number of people buying (and the dollar value of their purchases) drops. This will cause a (demand-side) recession. It’s a basic macroeconomic paradox. I haven’t read the other comments, because I’m afraid that even glimpsing the discussion will make me late for work so I can “fix things on the internet.” The article here implies unfamiliarity with basic economics; the Forbes article obviously grasps that GDP = C(onsumption) + I(nvestments) + G(overnment spending) + e(X)ports – I(mports) but appears to be glossing over a lot of important theory. A lot of macroeconomics is more science than opinion. Asking people what they think about spending, GDP, and economic recovery is a little like asking people to chime in on what proteins we should target in the next flu vaccine. It’s an important question, but the implication is that the average person who does not work in the field will have useful insights into the problem. Complex systems don’t work that way. This attitude distresses me. We impact others enormously by our small economic decisions, not to mention our decisions on election day. It’s of course good to keep one’s financial affairs in order, but it is also good to remain (or get) educated about the larger dynamics at play. This doesn’t seem like a strong start–maybe ask an economist for a guest article next time? p.s. I glanced at a few comments. Chris Caton is in the right direction: what matters somewhat is the velocity (= rate of cash movement in the economy), not the net growth in GDP per se. Above all, please do not assume that because economists disagree with each other about their models that the ideas are “fuzzy” or no better than a random opinion. There is a lot of silly tradition and many models are outdated, but that doesn’t mean all our opinions should be weighted equally, or that we can even make progress trusting our insights after thinking casually about the field on the side for many years. No. No. No. Wealth is not created by adding more money into the system. Inflation is created by adding more money into the system, but everyone’s wealth remains the same. Debasing a currency does not make everyone richer. Wrong again. If I were to give you a piece of advice for $100, then you gave me some advice for $100, we could do that all day passing the $100 back and forth but neither of us is wealthier. The acceleration of money doesn’t create wealth, production and investment do. The money multiplier is just a symptom of this effect. Tends? Nice weasel word. If this were the case, then why doesn’t the government give everyone jobs? I’m sure we’d all be much wealthier and there are no unintended consequences that you’re missing. This is just a damn well written article. Thanks April. What good does it do for our country for an individual to go buy a product when 99% of the products are made elsewhere? We need to bring more manufacturing back to this country which is what made us the economic super power we once were. We need to develop and manufacture products in this country not purchase them from other countries. Government spending is out of control and the morons running this country just don’t see it. Unfortunately this will never change. Also, at what point did the government become responsible for the financial and health well being of its people? It is time we eliminated all of these socialist programs and gave that responsibility back to the people. If you can’t take care of yourself, who’s fault is that? It may be cold to say that but I have had to put myself through school, find a decent job, have a family and support that family, build savings for college and/or emergencies, and save for retirement. I have a hard enough time supporting my own family let alone the rest of the nation. Our government needs to cut spending to reduce the burden on the people who actually work for a living (this number seems to be on the decline though, soon to be a minority). Sorry for the rant but I can’t take it anymore. I’m not sure I understand how investing in businesses stimulates the economy or produces any economic activity at all (aside from generating some nice commissions for the broker). If I buy $50,000 worth of Microsoft stock, it’s not like Microsoft sees any of that money. They don’t suddenly have $50,000 more money with which to innovate and develop. I’m buying that stock from some guy who already had it. Now he has the money (less a commission for the aforementioned broker), and does something else with it – maybe uses it to buy some other stock (Apple?) off another guy, generating more commissions, but still, with not a penny trickling back to the underlying businesses in question. Lots of good comments here. +1 to Edward’s comment on the money supply. If saving means paying off a credit card, that’s good for you, but the companies are not turning that around and creating new credit. They are offering less credit. So the money supply is shrinking. That affects behavior and drags the economy. Actually, this argument is wrong. You are implicitly assuming that the advice is without value (although you didn’t say that). If the advice was really worth $100 each time, then passing that money back and forth quickly would make us both aware of more good advice and we would both be richer! Simple logic would dictate that excessive spending and loose lending standards caused this crash so excessive spending and loose lending standards cannot possibly cure it. Indeed it is axiomatic that the problem cannot be the solution. The concept is so simple that Keynesian demagogues cannot see it. I wrote an article similar to this. If you wait until you’re out of debt to spend, then you’re not paying 20-30% extra to the banks in the form of interest. I’d rather funnel that extra money towards tangible things. You can argue that banks hire people too, but I prefer stimulating the economy through manufacturing jobs vs finance jobs. Thats a pretty crystal clear illustration that Forbes is conservatively biased. You can’t then read their commentary and expect it to be rationally objective fact based science instead of politically biased commentary. Seriously this is almost like thinking you’ll get objective economic analysis of the Bush tax cuts from The Nation. Off-topic, but what happened to the highlighting of JD’s comments, the post author’s comments, and comments of note? Sometimes in heated debates like this, I like to skim to those highlighted posts, but I haven’t seen them in a few weeks. That is entirely irrelevant to the topic at hand and essentially a guilt by association logical fallacy. Arguments should stand or fall by then own merit, not what magazine they appear in. You may be the biggest racist in the world but if you claim that the Earth orbits the Sun it doesn’t make your argument any less correct just because you’re a bigot. The comment highlighting is still there. But it’s always just been authors and comments I specifically flag. So, if I didn’t write the post (like this one), I’m not automatically highlighted. Norman – you beat to the punch! Economics is complex for me but one of my first thoughts on the subject was that we import most of the stuff we buy. If we actually produced the stuff here, American people would be making goods for all of us that feel the need to stuff our closets and cabinets. We would not be as vulnerable to globalization, other countries currency values or high unemployment. I try to buy American made but also think we don’t necessarily pay people livable wages in many large companies, even here in America. It seems big business and those that can heavily invest in them are the only ones that benefit from our overconsumption. Money seems to fall into a increasingly smaller number of hands. For all the protectionists… Comparative advantage is really hard to explain without the charts (but I bet Wikipedia has them). If we didn’t have any imports, everything would be a lot more expensive. My favorite counter-argument is that of Ricardo (I think it was Ricardo) back in the 18th century when they realized that there are gains from trade: We should block out the sun. It is harming our lighting industries. Without it we would have much more home industry making lightbulbs and oil etc. It is completely and totally unfair that sunlight is free. The low cost is harming American workers who could be manufacturing light at home. The actual book section is very eloquent, but google isn’t helping me find it. Agreed. It seems that trade deficits are the real problem (if there is one), not necessarily trading. What are your thoughts on the trade deficit? @64 Thanks! It has been a LONG time since undergrad for me. I think the Fortune article leaves out the fact there is a credit crunch on. Lending institutions are simply not investing money. There is a big preference to sit on cash; lots of large corporations are doing this as well despite posting large profits. So I can keep parking cash into my savings accounts but it’s not getting spread around the way it was a decade ago. And as commenters above have pointed out, the economy as a whole does not work the way household finances do. The paradox of thrift is an excellent example of this. More stimulative action from the government would do a lot of good for a lot of people. Furthermore, there is credit available to those with the capacity to pay it back. The problem is that banks are no longer lending to unqualified applicants. I find it wholly hypocritical that the same people who condemn the banks for the excessive lending are the same people who are now condemning them for not lending. Which is it? For once, banks are doing the right thing and we still have people yelling at them. As far as the record cash that companies are sitting on? That’s a mirage. Corporations got burned back in ’08 when they couldn’t raise cash when they needed to. They learned from this and they are selling debt to raise cash now while they still can. Hosting a topic with political leanings was risky, and I read the comments with some trepidation. I appreciated your admonition at the end of the post regarding acceptable comments. I don’t know if GRS readers are just more polite or you are doing heavy editing, but I wanted to let you know what a breath of fresh air it is to see a topic debated with ideas instead of vicious personal attacks. I commend you and the writer for taking the risk, and I commend GRS commenters for keeping it focused on the ideas. If only we could do this on the national scale! I really, really appreciate comment flagging. I love the finely tuned GRS articles, but some comments are drivel, and others are brilliant. Skimming through to find the “hot” comments gives me an idea of the discussion without having to read what is often 100+ individual comments. Please do (when you get back from vacation) flag the “great comments” – it is a real time saver. @JD – It seems to me that this is a task that could be delegated, but that is your business. I agree that I’m impressed with the civility of the comments section. Reading these comments makes my blood boil a bit, and I’m having to censor myself quite a bit. I imagine the same is true on both sides regarding stimulus versus austerity, and trade versus protectionism. @69 I dunno, the most flagged comments on CNN (or their partner entertainment sites) are often the most infantile. Interesting to note that, in the last 24 months, banks didn’t trust borrowers. So when money was “saved” and “invested”, banks would just delever their balance sheets and not necessarily lend for that forklift. If you want to understand the fallacy read it! “These mistakes are, literally, elementary ones. They were elementary when R.G. Hawtrey and the other staffers of the British Treasury made them in the 1920s. They carry the implication not just that government cannot stimulate or depress the economy, but that no set of private investment or savings decisions can stimulate or depress the economy either, and thus that there can be no business cycle fluctuations from any source whatsoever–because every action that shifts savings or investment simply moves resources from one use to another.